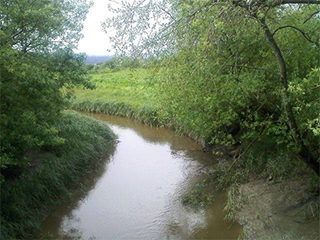 The Salt River Ecosystem Restoration Project is located in Humboldt County, near the City of Ferndale. This watershed-based, ecosystem-scale project is designed to restore ecological and hydraulic functions in the Salt River watershed. The objectives of the project are to restore and enhance habitat, support the recovery of special-status species, improve water quality, alleviate flood risks, and sequester carbon. H. T. Harvey & Associates provided restoration design and planning services for 7.7 miles of the Salt River channel and more than 400 acres of tidal salt marsh on Riverside Ranch. 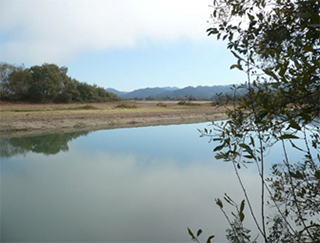 We assisted the Humboldt County Resource Conservation District as a subcontractor. Our landscape architects, restoration ecologists, and fish ecologists assisted the project engineers in all aspects of this project, from planning and design to permitting and implementation. H. T. Harvey & Associates restoration ecologists began the Riverside Ranch Conceptual Restoration Plan in 2008. Our team mapped and identified many plants and habitats in the field, and also used aerial photos to assist in the restoration design. The project engineers’ plans changed substantially throughout the project, creating a particularly complex design challenge. Working closely with the engineers, we surmounted the challenge and prescribed successful planting designs for riparian, wetland, and salt marsh habitat. 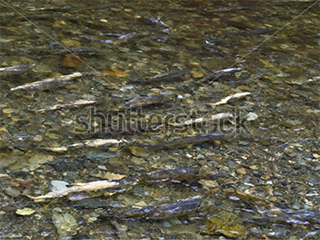 Coho salmon and tidewater goby are federally listed fish species that were identified and documented in the project area during the design phase. Our team of fisheries ecologists conducted field sampling, identified habitats where Coho salmon and gobies occur, and assisted engineers in changing the restoration design to minimize impacts on these species and support their recovery. We produced numerous documents for the Salt River Ecological Restoration Project, including its Adaptive Management Plan, Rare Plant Mitigation and Monitoring Plan (MMP), and Habitat MMP. This regionally important restoration project was in planning stages for ten years, and we are pleased to be part of the team that is seeing it through to completion. The CDP posed a unique challenge in that agricultural land conversion was an important issue for this project. H. T. Harvey & Associates regulatory specialists were able to provide the Coastal Commission with information sufficient to allow the Commission to approve the CDP. We produced numerous documents for the Salt River Ecological Restoration Project, including its Adaptive Management Plan, Rare Plant Plan, and Habitat Mitigation and Monitoring Plan. This regionally important restoration project was in planning stages for ten years, and we are pleased to be part of the team that is seeing it through to completion.